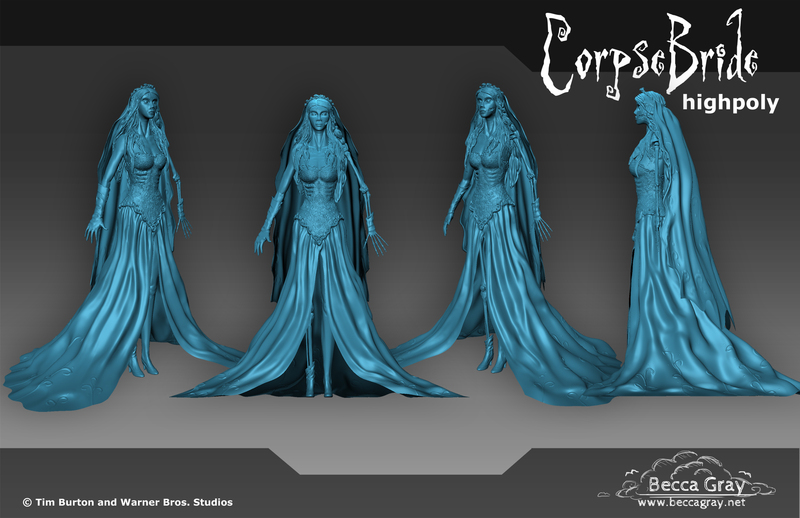 The Corpse Bride is based off the title character from Tim Burton’s 2005 film. 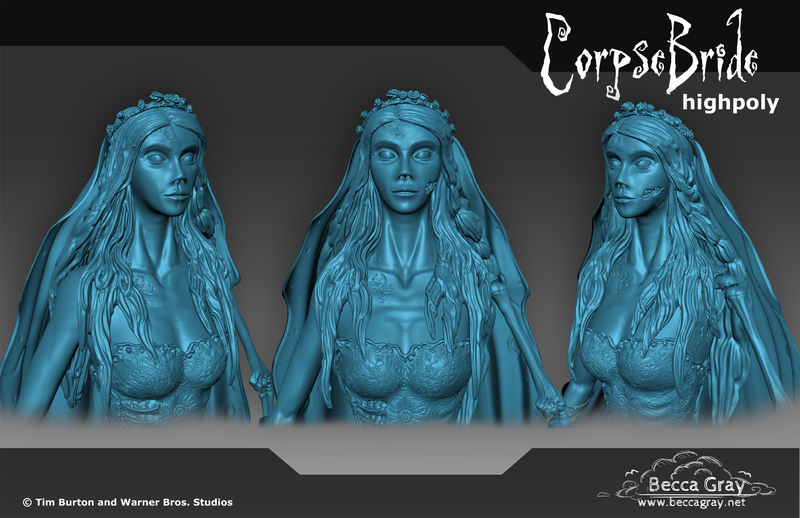 This particular version of her is designed to be semi-realistic as compared to the highly stylized version in the film. I learned a ton from the project trying to find a balance between creepy and beautiful. That being said, her rotting bone arm and the splotches of decay on her skin were definitely some of the most fun things to sculpt! 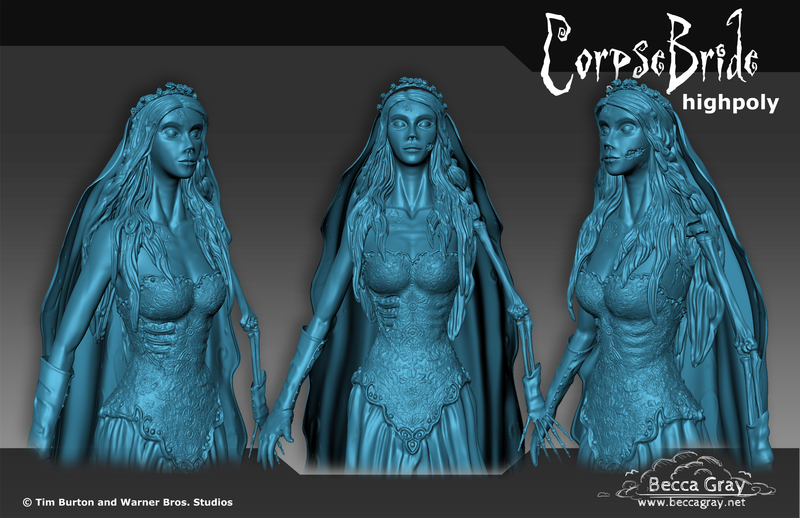 The base model was constructed in 3ds Max and sculpted in Mudbox. The Corpse Bride © Tim Burton, Warner Bros.